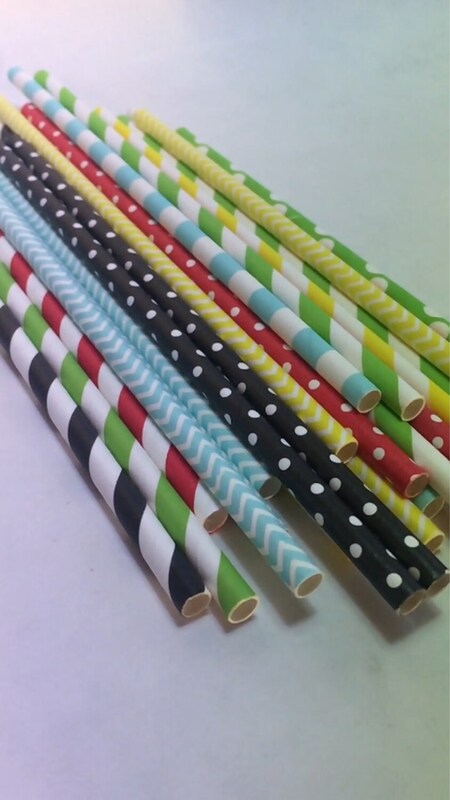 24 Red, yellow, black, blue and green straws! I just love this color combo! They are perfect for a Charlie Brown or peanuts themed birthday party, shower, or wedding!